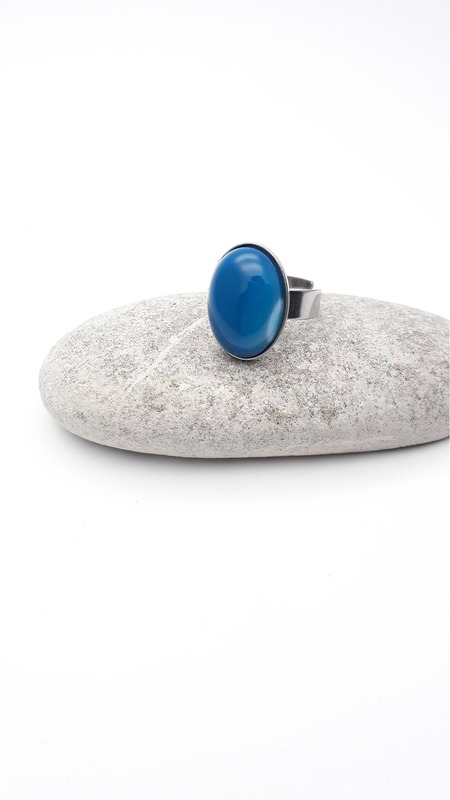 Blue Agate Ring silver stainless steel adjustable hypoallergenic Oval cabochon natural gemstone 18x13 mm simple minimalist, gift for her. 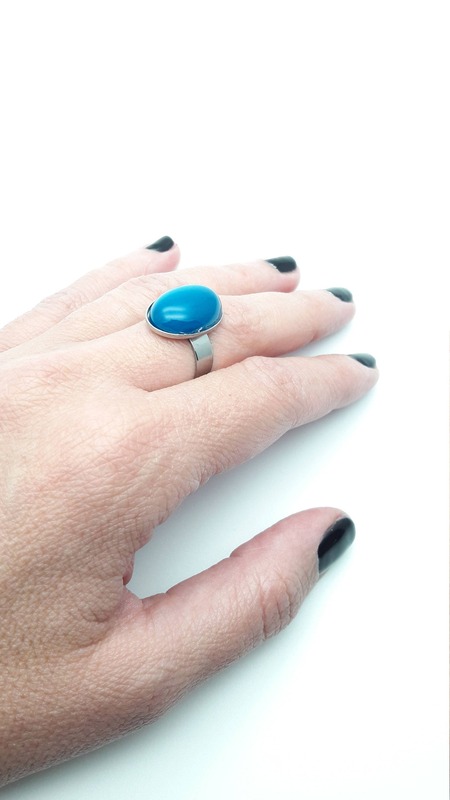 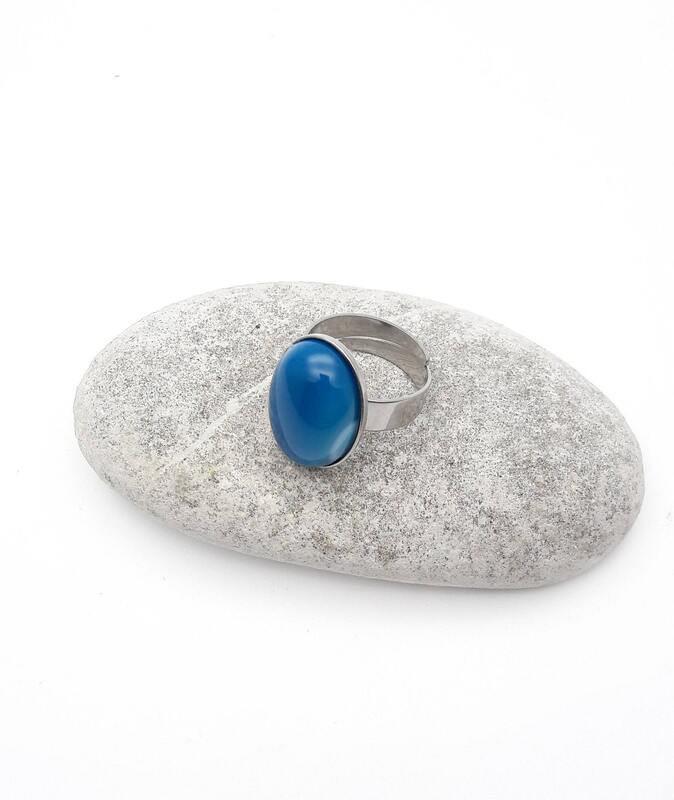 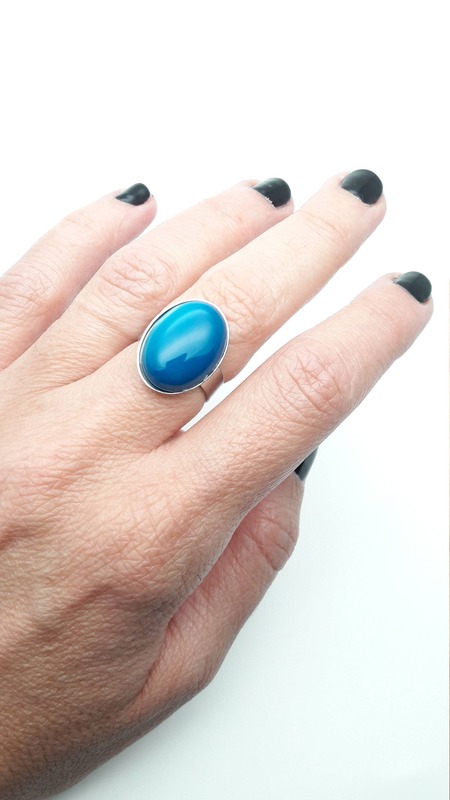 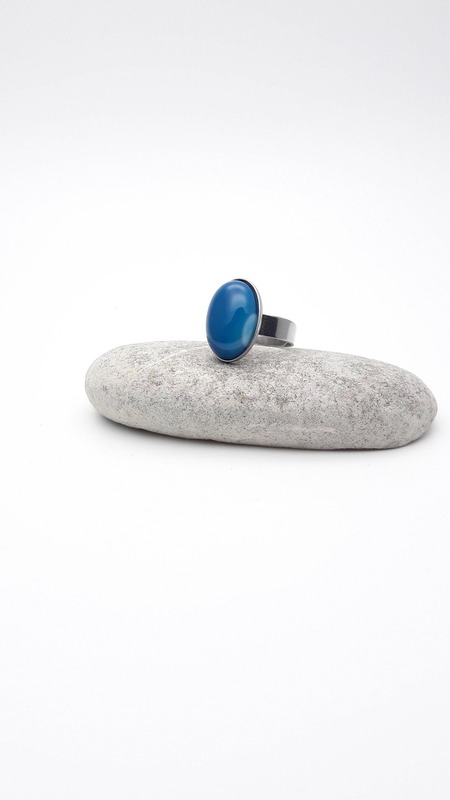 Oval Blue Agate and silver stainless steel ring. 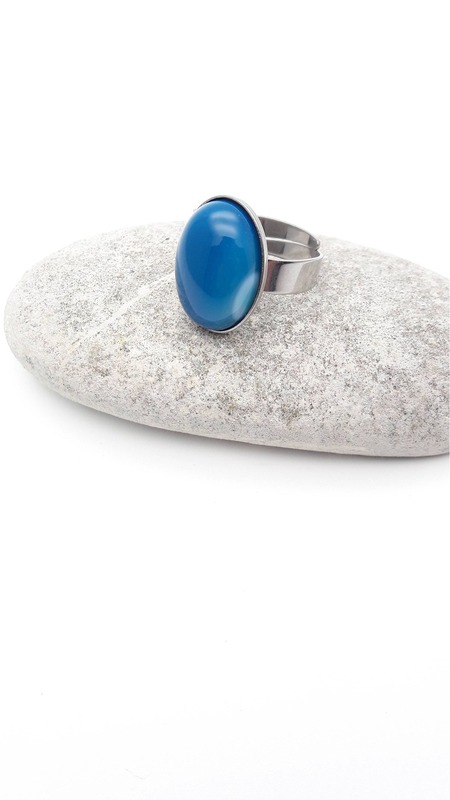 Blue Agate semi-precious gemstone (blue, grey, white tones) cabochon 18x13 mm and silver stainless steel ring. 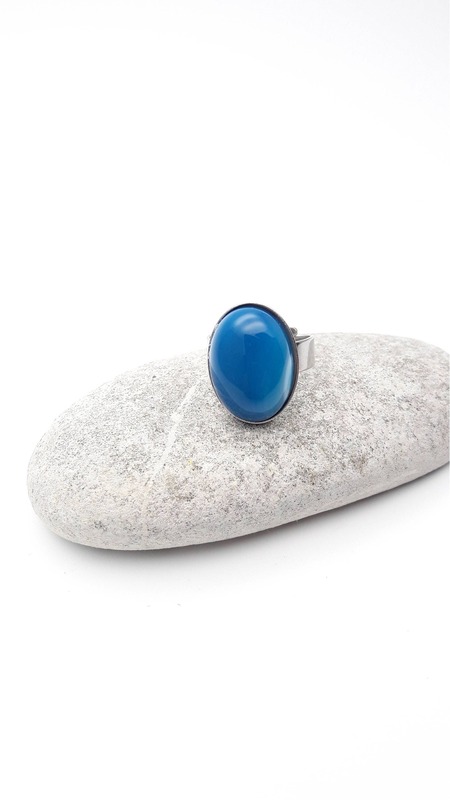 Blue Agate cabochon size : 18x13 mm. 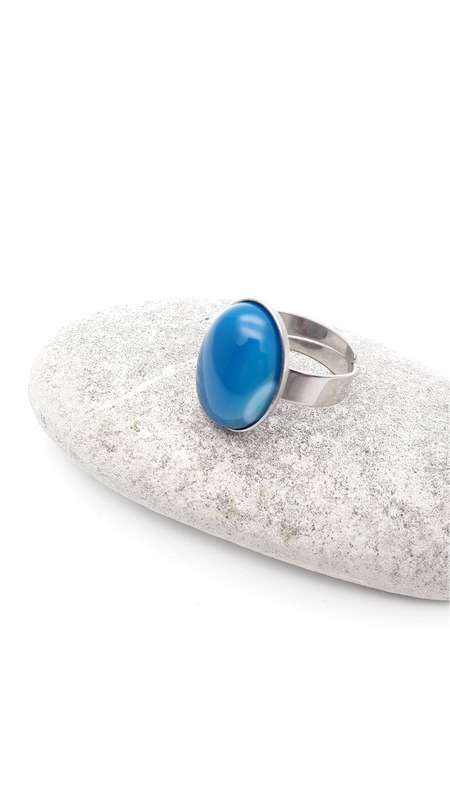 If you believe in the power of gems : Agates are grounding stones, bringing about an emotional physical and intellectual balance. 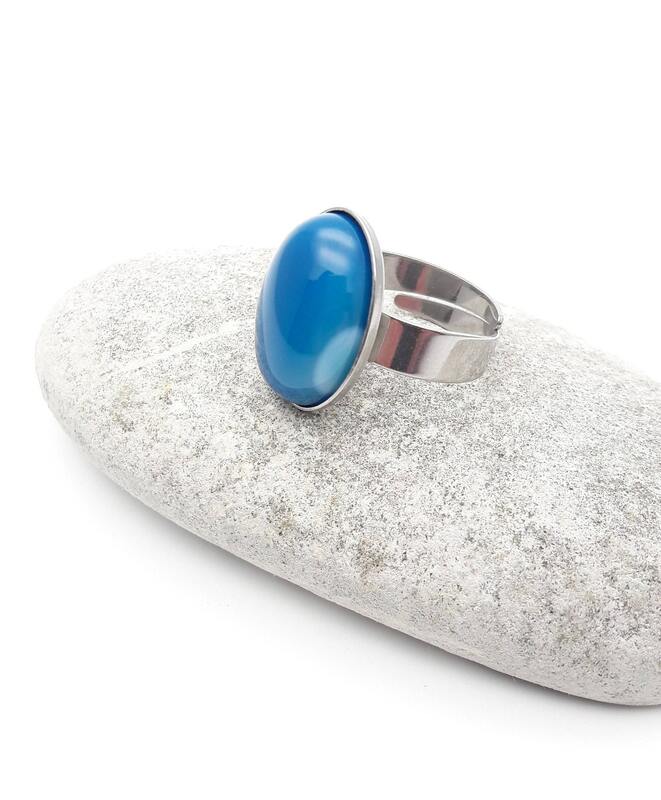 They aid in centring and stabilising physical energy.